In case one of the below prerequisites are not available you need to root the device. For most of the device you just need to download from the market the application z4root. The first thing needed in order to let the gdb-debug script works is the presence of the “com.android.server.PackageManagerServices” service on the device. 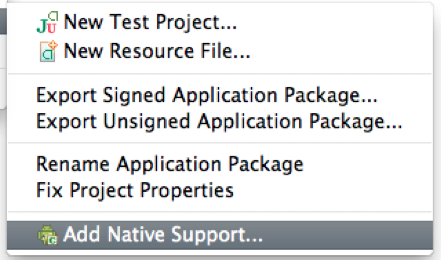 This serve generates, for each installed application, a new entry inside the “/data/system/packages.list” file. This file is used by the the “run-as” command to know the process privileges and its folder content. If on your device this service is unavailable you need to create one. The file format is very simple. 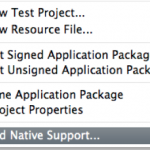 every line has 4 columns: package name, user id, debug flasg (“0” or “1”), applicatio folder. Just copy the output ( which is the user_id, for instance 10042 ) and exit from shell ( using “exit” command). Now we have to get the app folder. Unfortunately the /data/data folder is protected, so you need to log into the device and obtain root access. Look for the folder associated to our user ( in our example is: com.darkwavegames.esempio ). Now the run-as command will find all the required informations. Note that in case you uninstall and reinstall the application you need to to repeat this steps because the system could have assigned a new user_id to that application. Now you should be able to run the ndk-gdb script ( executing it inside the project folder ) and set breakpoints on the native code. At this point starting ndk-gdb from the project folder should be enough. If you’ve verified all the above prerequisites and your code is simgle thread this should be enough. Instead, if your native code is multi thread, the gdbserver which comes with the r4b can’t debug your code ( probably it has been compiled without the multi thread support ). In this case you need to obtain from the android repository git://android.git.kernel.org/platform/prebuilt.git the “prebuilt” folder of the SDK. Now that you have download it into your $PREBUILT folder you need to download the gdbserver with multi thread support from this link. Copy the gdbserver just downoaded into folder $ANDROID NDK PATH/build/prebuilt/$HOST ARCH/arm-eabi-4.4.0/bin where $HOST_ARCH is your developement architecture ( darwin-x86 if you’re with mac osx ). Copy $PREBUILT/$HOST ARCH/toolchain/arm-eabi-4.4.0/bin/arm-eabi-gdb into $ANDROID NDK PATH/build/prebuilt/$HOST ARCH/arm-eabi-4.4.0/bin and use it as debugger. We’re close to the goal! In this way, if in out Android.mk file there’s a directive APP_OPTIM with the value “debug”, the symbol strip will not be executed. 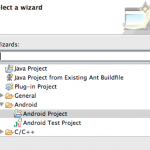 Now in order to have the debug running we need to add a breakpoint in the Java code just before the System.loadLibrary() method and start a new debug session from Eclipse. gdb.setup is generated by the ndk-gdb, but is created into the libs/armeabi folder. It’s important to copy it into the “obj” folder and add the line “target remote :5039”. All these steps are included in the “remotegdb.sh” file, so you don’t need to write all these commands every time! 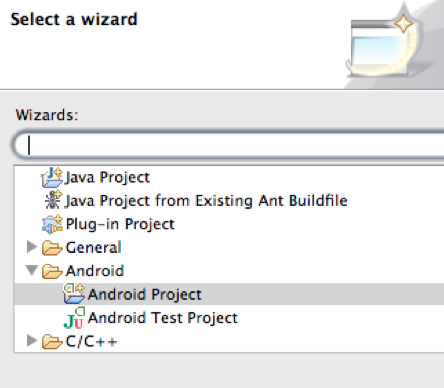 Just execute this script in the project folder ( the same folder where the AndroidManifest.xml is located ).